Be inspired by the global anime phenomenon, Naruto Shippuden, next time you're writing down your thoughts. Favorite character from the hit cartoon top these pens, which also feature the show's logo. 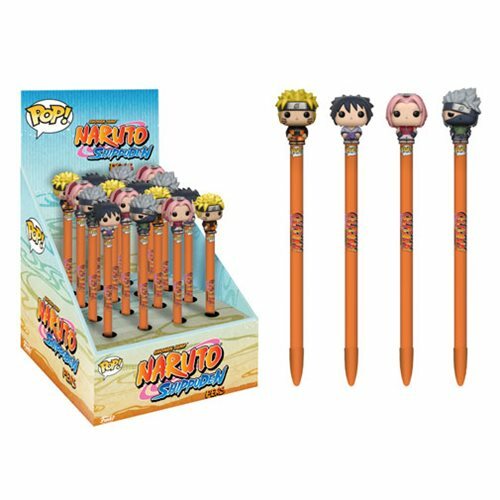 This wave includes Naruto, Sakura, Kakashi, and Sasuke! The Naruto Pop! Pen Display Case includes 16x pens. Ages 3 and up.